The South American country of Argentina may be best known for its steaks, wine, and the tango, but there are many reasons to travel to this unforgettable destination. With warm summers (May to August) and cold winters (December to February), this diverse landscape offers something different for visitors in every season. Spring and fall are packed with festivals in Buenos Aires, summer is a great time to trek through Patagonia, and winter offers an abundance of skiing opportunities. 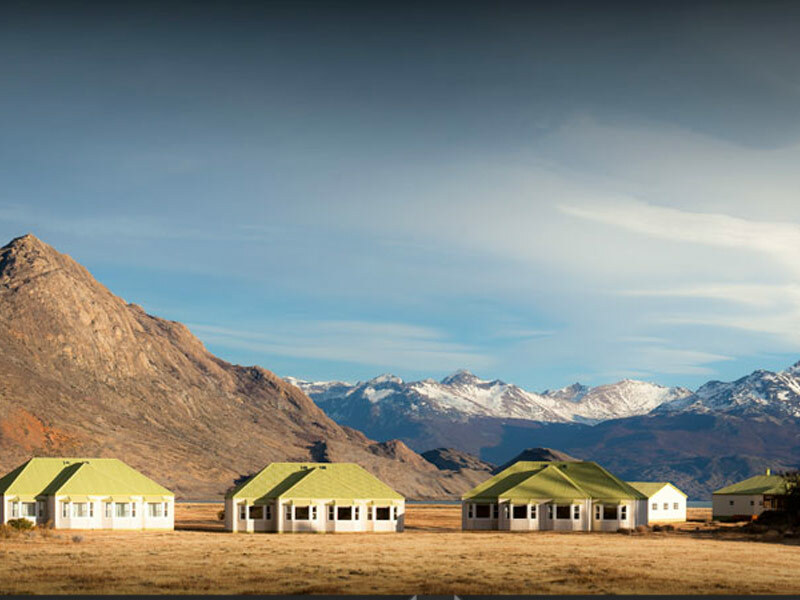 But whatever your reason for traveling to Argentina, you’ll be pleased to know that a variety of authentic, comfortable, and luxury accommodations are just around the corner. These are some of the best hotels and resorts in Argentine to consider booking for your stay. If you’re looking to spend time in the heart of Buenos Aires, then 1555 Malabia House might be perfect for your trip to the city. This is a 19th century convent that’s been renovated into a boutique hotel in the Palermo Viejo neighborhood. It’s all about local sustainability, right down to the onsite chickens that lay organic eggs for your breakfast. This is a charming adults-only, eco-friendly, and LBGT friendly bed & breakfast-style hotel. The botanic garden and zoo are nearby, and there are plenty of shops and restaurants in the area. 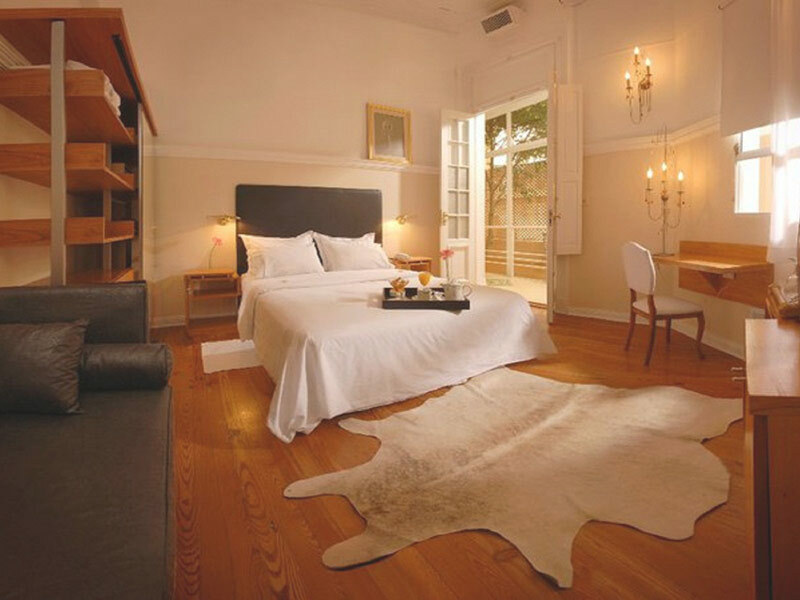 Located in the Recoleta neighborhood of Buenos Aires, the Algodon Mansion is designed with French and modern influences and the rooms have a tranquil, luxurious vibe. Hotel perks include a personal chef, 24-hour butler, and steam shower in the marble and limestone bathroom. There are lots of high-end shops nearby, as well as unique handicrafts at the Recoleta Plaza Francia and boutiques at Buenos Aires Design. Take in a performance at the Teatro Colon, play an afternoon of golf at the Jockey Club, or hike out to the Reserva Ecologica for 350 hectares of forest and grasslands. Golfing, fishing, cycling, and the spa are the big draws to Llao Llao Hotel and Resort in Patagonia. There’s an 18-hole golf course with stunning greens here, as well as a new tennis court and a luxurious spa and health club. There’s even a kids club to entertain young guests traveling with their parents. During the winter season, guests can enjoy the Mt. Catedral lounge, ski classes, and gear rental. There are two wings of the hotel, Ala Bustillo and Lago Moreno, and there are 205 rooms that reflect authentic Patagonian style. 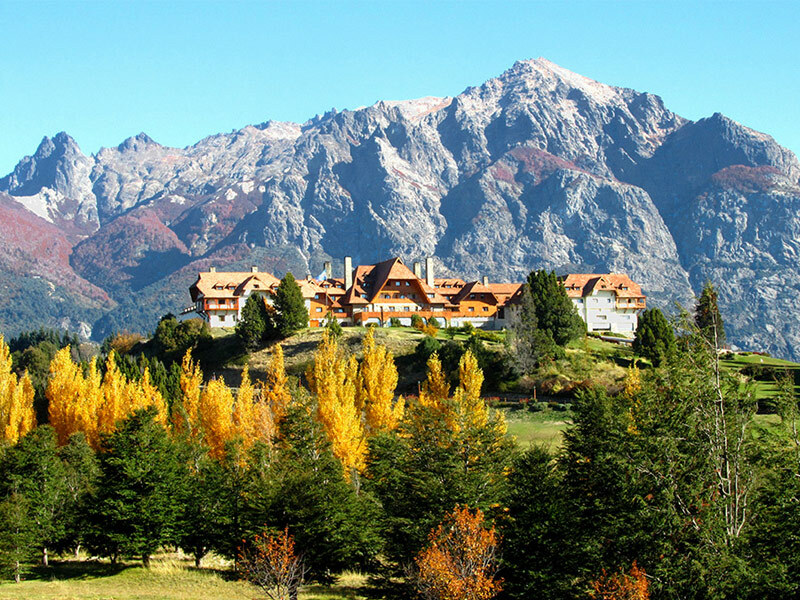 Without a doubt, a stay at the Estancia Cristina is a nature lovers dream. This hotel has just 12 rooms, which start at about $1,000 USD. However, the location surrounded by glaciers, lakes, and snowy peaks can’t be beat. This hotel is in the heart of Los Glaciares National Park in southern Patagonia and is a three-hour boat ride away from El Calafate. Not only can you photograph amazing glacial views and go bird watch here, but you can also go horseback riding, four-wheel driving and sample fine Argentinian wines. The hotel cost includes boat trips, transfers to the hotels, meals, and local activities. 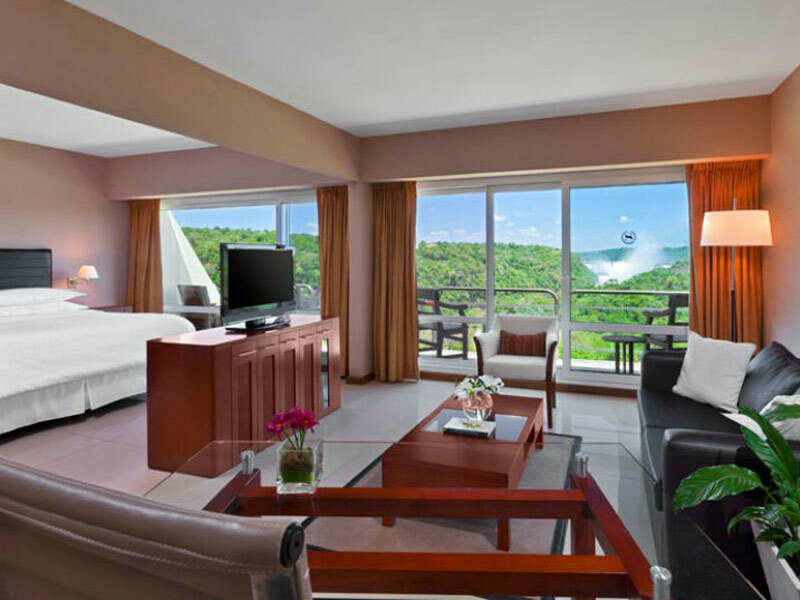 Another great place to stay in Argentina is the Sheraton Iguazú Resort & Spa, which has 176 guest rooms and views of the Iguazú Falls and the rainforest. Head over to the spa to indulge in a spa treatment in one of five indoor boxes, four outdoor tents, an internal box for couples, and a Vichy shower. 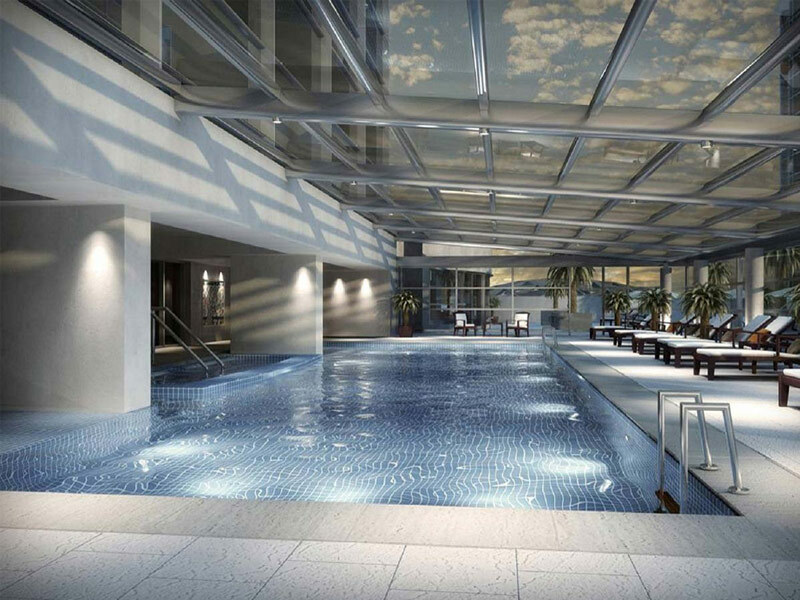 There’s also an adult pool with a pool bar, a children’s pool, and tennis courts onsite. Once you leave the hotel, you’ll be immersed in nature with top outdoor sites nearby such as the Iguazú National Park and Hito Argentino. 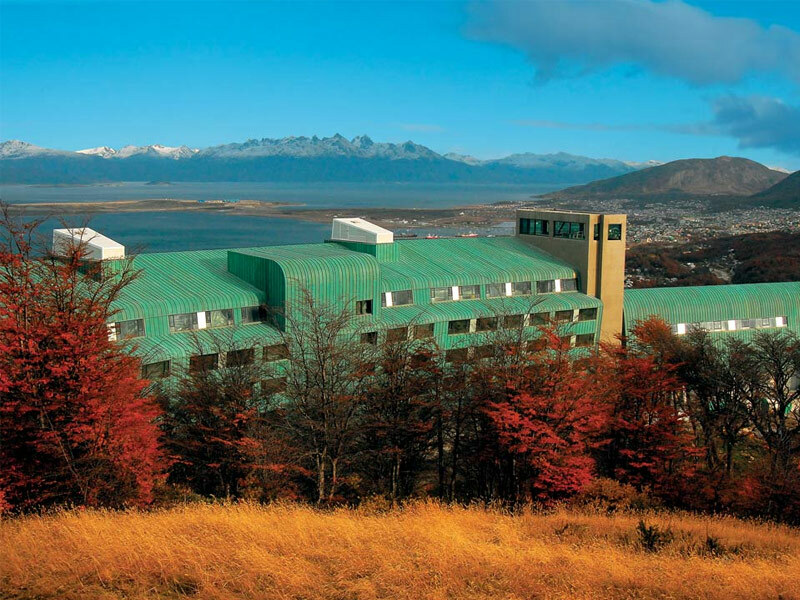 The Arakur Ushuaia Resort and Spa is located in Ushuaia at the southernmost point of South America. This resort is situated along a natural balcony that’s 800 feet above sea level and offers amazing views of the nearby forests. The rooms in this resort have a contemporary design, and the hotel is inside the Reserva Natural Cerro Alarken and close to Mount Alarken’s summit. Meanwhile, the onsite restaurant, La Terrada, serves traditional Argentine and international cuisine on the menu and at the buffet. For a unique stay in Argentine with an artsy vibe, consider staying at the Candelaria del Monte in San Miguel del Monte, which is 70 miles from Buenos Aires and has six rooms. 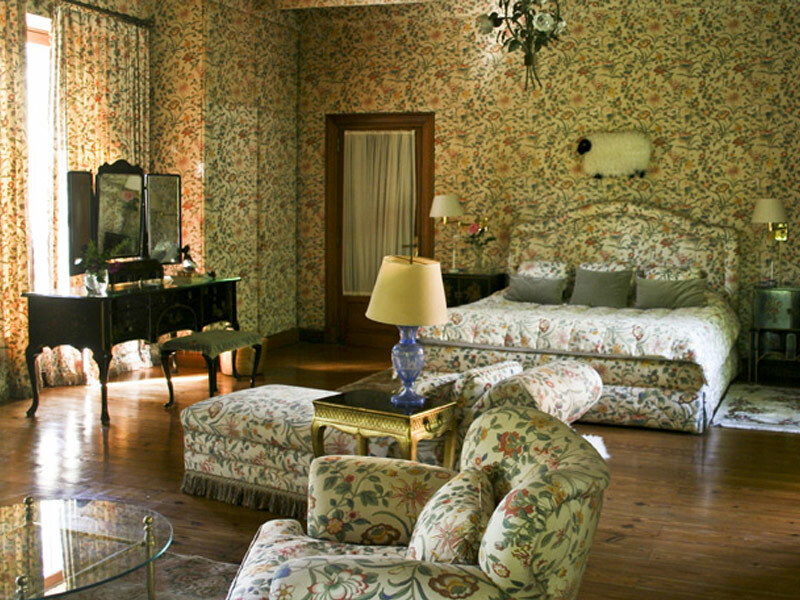 This hotel is run by an artist couple and has an authentic country style with antiques and original art creations. You’ll dine upon grilled meats, vegetables, and eggs that are sourced onsite. This is a great place to get in touch with nature and explore Argentina in the company of majestic horses. Estancia Santa Isabel is located in Chapadmalal on a quiet road under a canopy of trees. This Oceanside ranch estate offers top amenities and a rustic charm that’s authentic with all the comforts of home. Peer out your window and you’ll see rolling hills and lush countryside, a pleasant retreat from a stressful, busy life. There are 11 guest rooms here, as well as a formal dining room and an onsite vineyard. Amenities include a billiards table, horse stables, winery, and tennis court. Some of the most popular activities to do in this area include golf, volleyball, horseback riding, and soccer. Rates start from $2,000 per night. 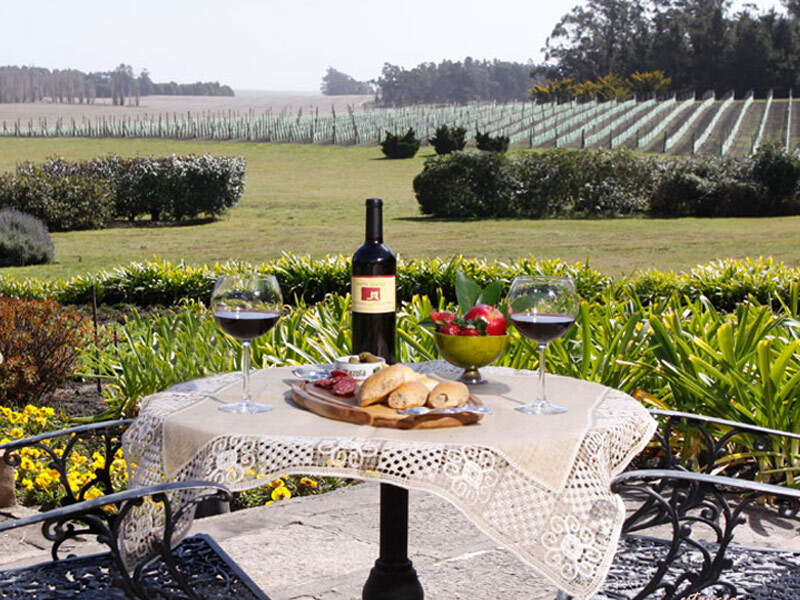 Argentinian wine is popular all around the world, and some of the country’s best wine producers are located around Mendoza. Wine lovers will absolutely love staying at the Cavas Wine Lodge from the moment they walk in underneath grapevines to get to the guest rooms. This is also a great place to stay for active travelers since there are hiking and biking routes that lead to the Andes nearby. This region of Argentina is sunny, and all that sun can be soaked up at the onsite swimming pool. Take advantage of a spa therapy with grape skins and grape seeds to unwind during your stay. 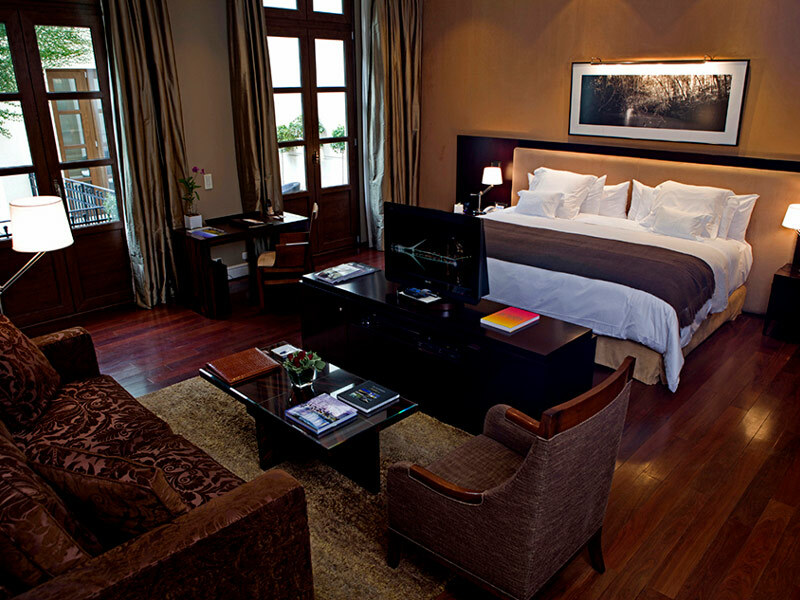 If you’re looking for luxury in Mendoza, then look no further than the Intercontinental Hotel & Resort. 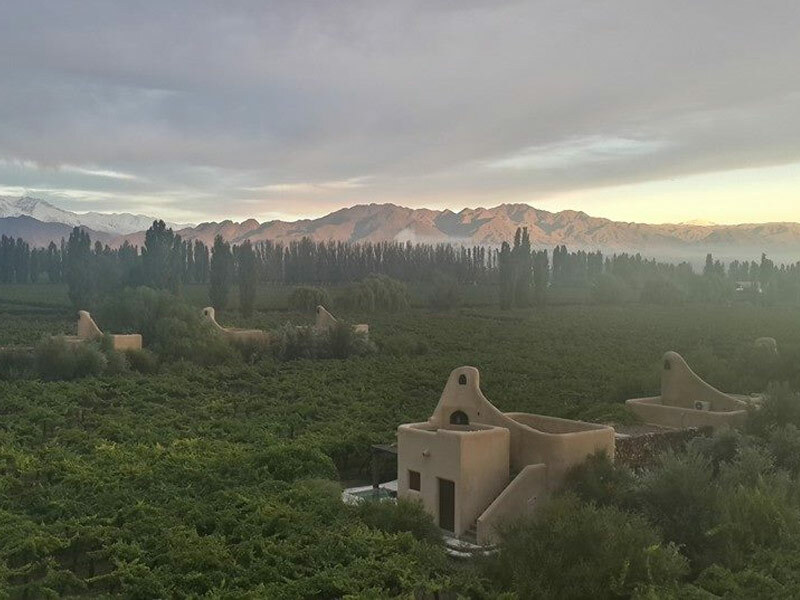 Mendoza is one of the great wine capitals of the world, and this hotel offers a prime location for wine lovers wanting to explore the region. It’s also near the city’s shopping center and has an onsite casino. Keep in mind that the hours between 1pm and 5pm are traditionally reserved for “nap time,” so many of the public places and shops close down in the afternoons. There are three restaurants onsite that offer regional flavors and Mediterranean delicacies, as well as a bar, fitness center, and indoor swimming pool. This is a great pick for business travelers who need to plan meetings and arrange services.